From the New York Times bestselling author of SHRED and Blast the Sugar Out, the ultimate guide to clean eating! What is clean eating? 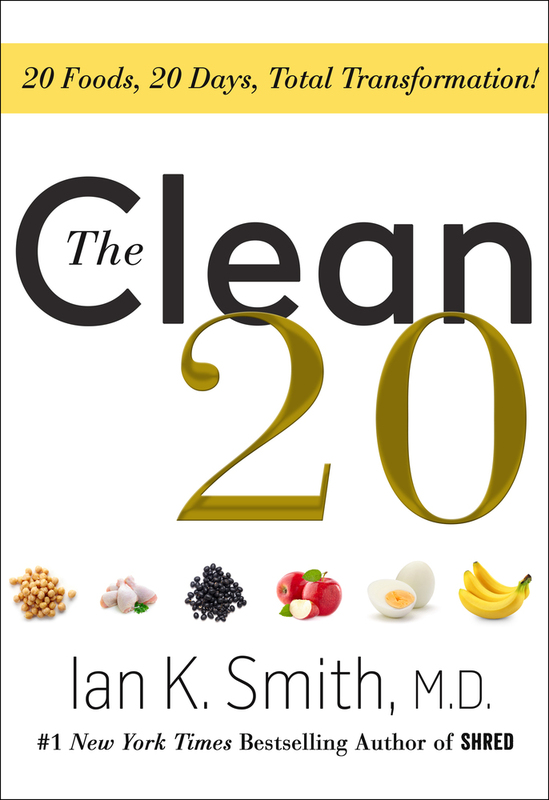 In his newest diet book, Dr. Ian K. Smith teaches readers the benefits of clean eating and how to implement it in their own lives. He tells readers how to easily reduce unhealthy processed foods in their diets, a key to weight loss, disease prevention, and overall health. 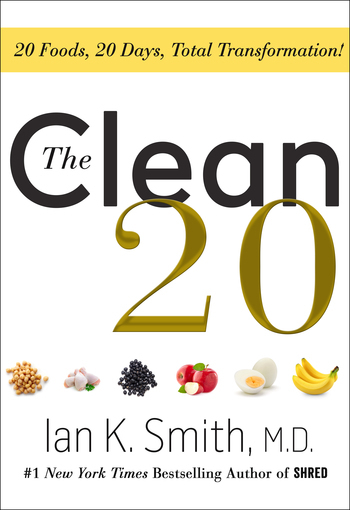 The Clean 20 focuses on twenty clean foods--from avocado to whole wheat pasta and everything in between--that readers can easily find, prepare, and incorporate into their diets. The Clean 20 includes a complete clean eating program with a daily meal plan, 60 recipes and substitutions, as well as 20 minute easy-to-work-in workouts. Dr. Ian knows what works: it’s not eliminating food groups, but choosing foods within each group wisely to satisfy the palate and the body’s nutritional demands. The Clean 20 isn’t just vegetables. Grains are in. And so is fruit, fat, meat and fish. When palate and nutrition are in sync, weight loss not only follows, it sticks. The Clean 20 is a life and body changer. Ian K. Smith, M.D. is the #1 New York Times bestselling author of SHRED, SUPER SHRED, The SHRED Power Cleanse and Blast the Sugar Out. He has created two national health initiatives--the 50 Million Pound Challenge and the Makeover Mile—and has served two terms on the President’s Council on Fitness, Sports, and Nutrition. A graduate of Harvard, Columbia, and the University of Chicago’s Pritzker School of Medicine, Smith is an avid fitness enthusiast and sportsman.